In the heart of the Great Depression, Rancho Las Moras, like everywhere else in Texas, is gripped by the drought of the Dust Bowl, and resentment is building among white farmers against Mexican Americans. All around town, signs go up proclaiming "No Dogs or Mexicans" and "No Mexicans Allowed." When Estrella organizes a protest against the treatment of tejanos in their town of Monteseco, Texas, her whole family becomes a target of "repatriation" efforts to send Mexicans "back to Mexico" --whether they were ever Mexican citizens or not. Dumped across the border and separated from half her family, Estrella must figure out a way to survive and care for her mother and baby brother. How can she reunite with her father and grandparents and convince her country of birth that she deserves to return home? 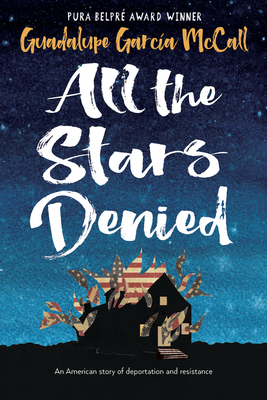 There are no easy answers in the first YA book to tackle this hidden history.